It's Back-to-School Time, Keep your kids #stinkfree! Amare Terra is now, Simply Earth Shoe & Foot Spray Deodorizer! You will LOVE the way this spray makes your shoes smell! It works so well you won't even know anyone took their shoes off! 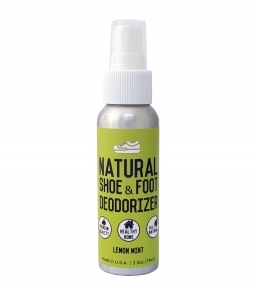 Simply Earth Shoe & Foot Spray Deodorizer all natural shoe & foot deodorizer utilizes essential oils and natural deodorizer to keep your feet and shoes smelling great! The oils are really strong, but not bad smelling, and leave a pleasant odor inside your hard worn shoes that can tackle even the harshest of smells! I feel comfy using it around my kids and my pets! -Stink Free Guarantee. 100% satisfied or your money back. -They use proven science to eradicate the stench and keep your feet smelling fresh. -In a blind test, people chose them over the competition every time and their ingredients are all natural. -2.5oz bottle - over 400 sprays! Simply Earth was founded this year and quickly became the company known for seeking good rather than profits. They sell truly natural products and for every purchase people make, one month of clean water is provided for someone in need, that is so wonderful!